﻿ Super Soco first ride: "Cheap and cheerful"
Old, dirty, polluting petrol bikes still rule the roost, but let's face it, they won't be around for much longer. Electric bikes are great, but they're heavy, take ages to charge, and only have a short range. 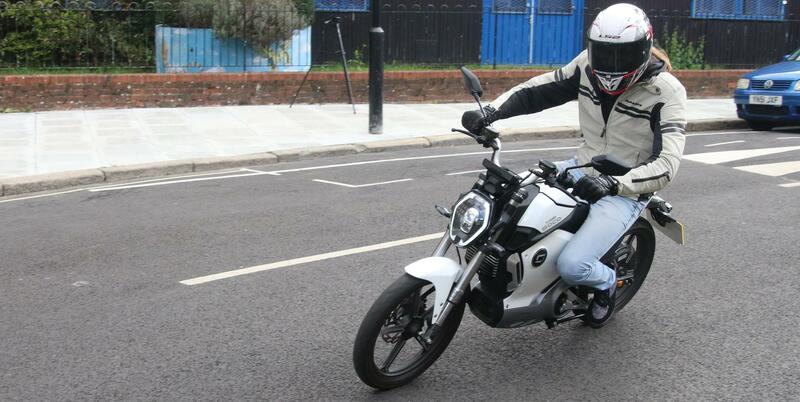 And to top it off, if you want an electric bike that offers similar performance to a petrol bike, you'll have to fork out quite a bit of cash. Step forward the Super Soco TS1200R. Now, before you get too excited there are some things you should know. The Super Soco isn't going to replace your BMW S1000RR. It's an electric bike that's restricted to 28mph. 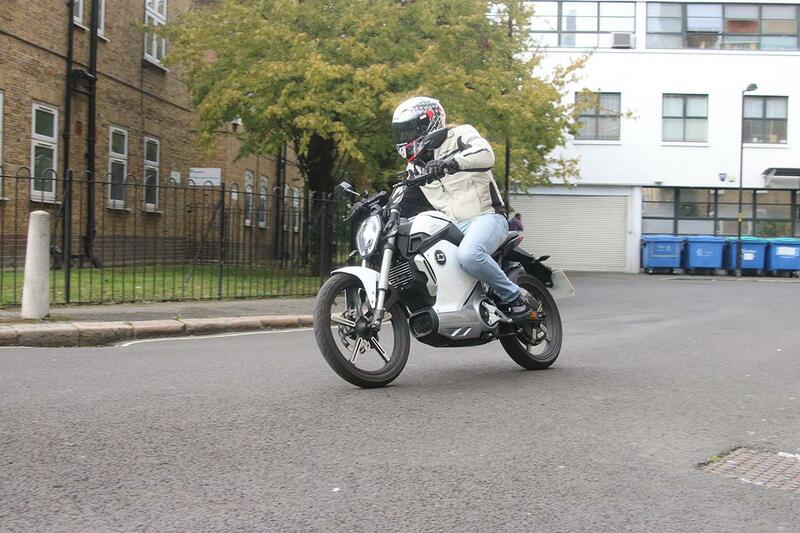 But that means it can be ridden by anybody from the age of 16 on a CBT. And it only costs £2349. The Super Soco certainly isn't going to win any 16-year-olds over with good looks or street credibility, but it could certainly win them over when it comes to price. 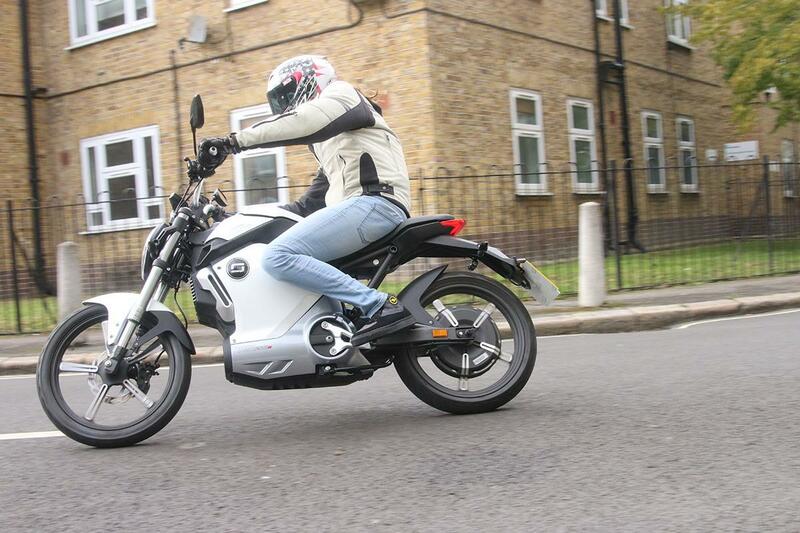 It's over £1000 than the Aprilia SX50, and since it's electric, you don't have to worry about spending all your money filling it up, just plug it in when you're at home. 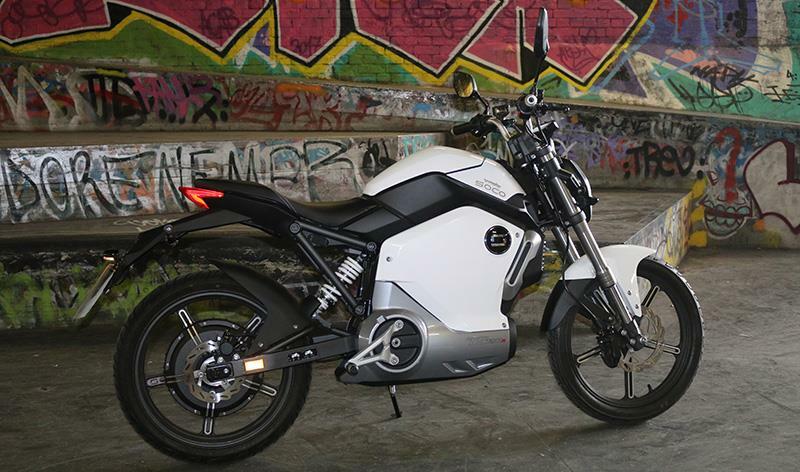 Unlike many electric bikes, the 26Ah battery can be removed from the Super Soco, so you don't need to park it near a socket - perfect if you live in London. Just lift up the tank, remove the batter and take it inside to charge. There's even enough space under the tank to fit a second battery to double the range, or for your sarnies, whichever you prefer. 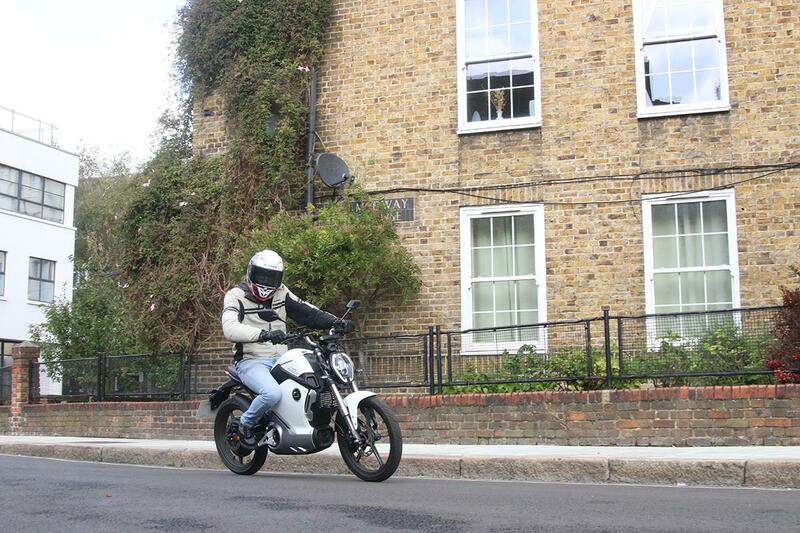 The Super Soco has three power modes; Sport, Normal and Eco. With a full charge the dash reads a range of 37 miles in Sport, 49 in Normal and 62 in Eco. It doesn't sound like much, but if your commute is only a couple of miles through city traffic each way, it's enough. 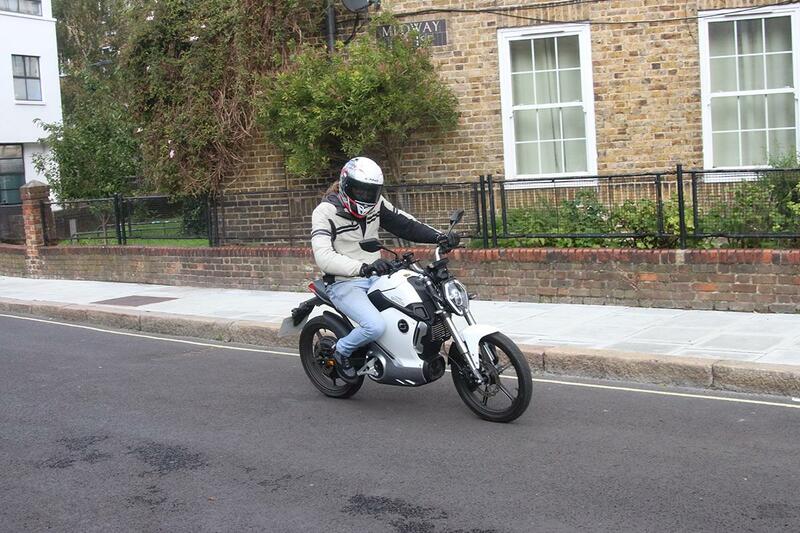 The battery powers a 1200W motor which is mounted on the rear wheel, similar to an electric bicycle. It means there's no chain, which results in an eerily quiet bike, so watch out for pedestrians stepping out in front of you. With the bike in Sport mode acceleration is... OK. I expected a little more since it's electric, but let's face it, this is a bike that can be ridden by 16-year-olds. It's enough to get you away from junctions quick enough, just about, but it won't pull up any trees or excite. There's no discernible drop in acceleration in Normal, but the top speed drops a little to 24mph. Although Eco mode does offer a huge jump in range it makes the Super Soco no quicker than a bicycle. Not only that, it cuts the top speed to somewhere around the 16mph mark. I can't see any reason why you'd use the Eco mode unless you were really struggling for charge. Despite the Super Soco's modest acceleration and limited top speed the brakes are brilliant. There's a single 220mm disc up front which provides more than enough stopping power for a bike that weighs so little. It's one-finger strong but it's also progressive - perfect for new riders. The rear 180mm disc is equally as good. Oh, and there's no ABS, which means skids. What 16-year-old doesn't love skids? Perhaps the biggest feather in the Super Soco's cap is its weight. It only weighs 78kg, so it's exceptionally easy to push around at walking pace and can even be picked up completely. 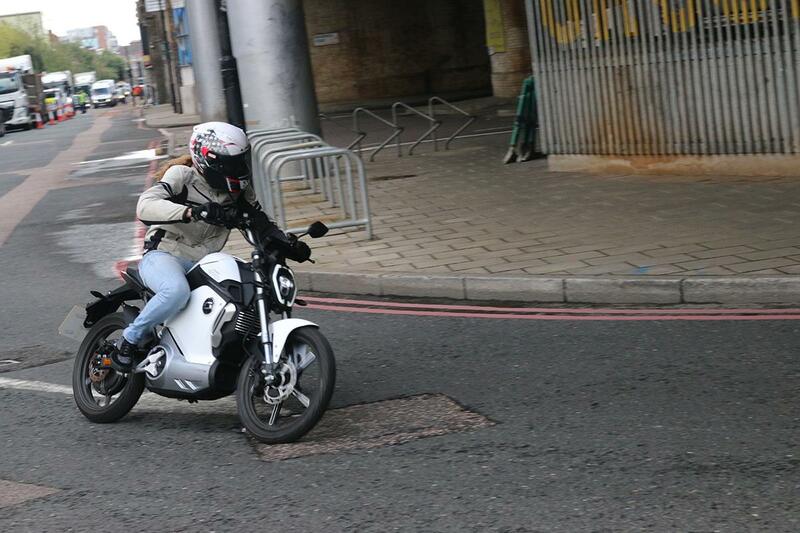 On the road that equates to a bike that's incredibly nimble, and threading the Super Soco through the busy, narrow back streets around London Bridge was almost effortless. The low weight does mean however that it has a tendency to crash over bumps and become unsettled. The Super Soco might look basic to the untrained eye, but it's got some pretty cool tech. 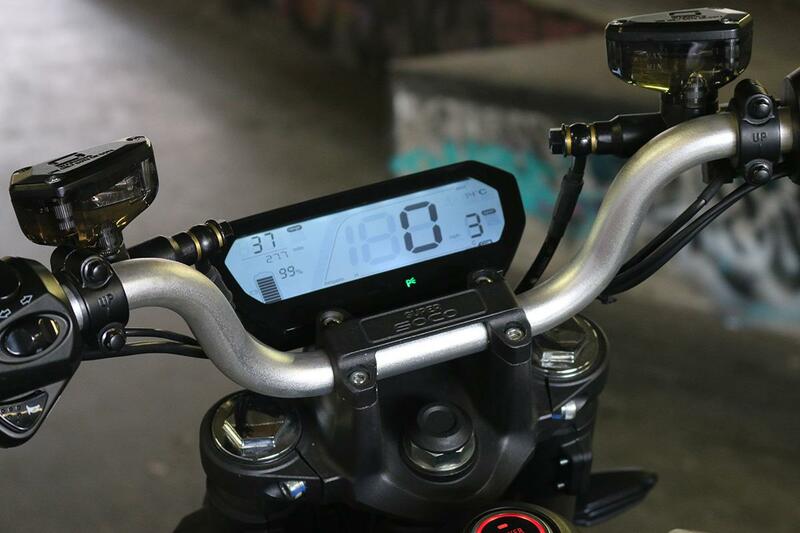 Aside from the riding modes there's also keyless ignition, and a big round power button at the front of the tank which plays a nice jingle when you turn the bike on. Press the lock button on the key fob when you park the bike up and it engages the anti-theft alarm, which will sound when it detects the bike is moving. If that's not enough to deter the would-be thief then the Super Soco also engages the motor to stop the bike being pushed away. Pretty clever stuff. There's also LED lights all round and adjustable footpegs. After spending the better part of a day navigating my way around London's nadgery back roads I was impressed with the Super Soco. Yes, it's not particularly exciting, but that's not what the Super Soco is about. If you want cheap city transport that's incredibly easy to ride the Super Soco would make a great bike, and it has the added bonus of being environmentally-friendly. If you live in London and you're worried about your bike getting nicked, we can't imagine thieves will even give the Super Soco a second glance, either.